Sure did - they're cute. Super find ! 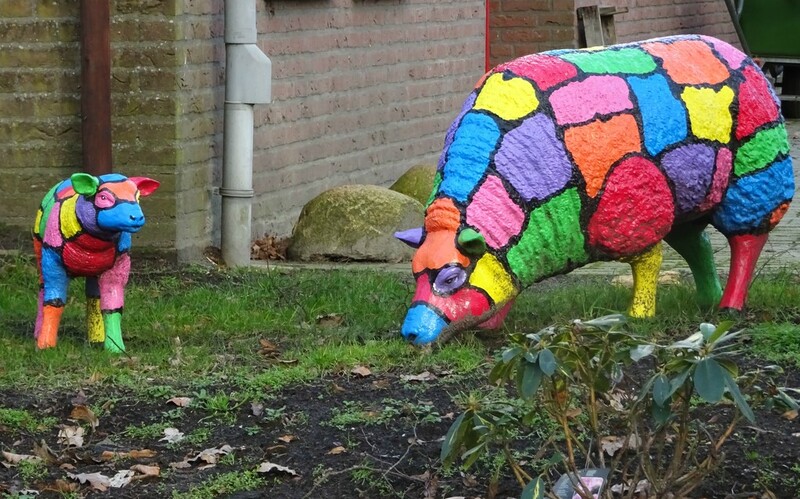 love these colourful patchwork sheep , just the things I needed to see to boost my much needed colour !!! I did smile, what a wonderful find. Well spotted, Bep. Sorry i have been out of touch - health problems have meant difficult to get out of house. Hope to re-focus. Hope you are well. Thanks for your friendly comment, Chris. I'm well and still loving 365. Hope to see more photos of you in the future. What a fun thing to find. They are so colorful. A little big and so colourful. takes a bit to get used to see them guess. The little lamb is rather sweet! Leuk gedaan, maar niet mijn stijl!